Maxwell is of nowhere in particular. This gives me free rein to run and depict anything I fancy. 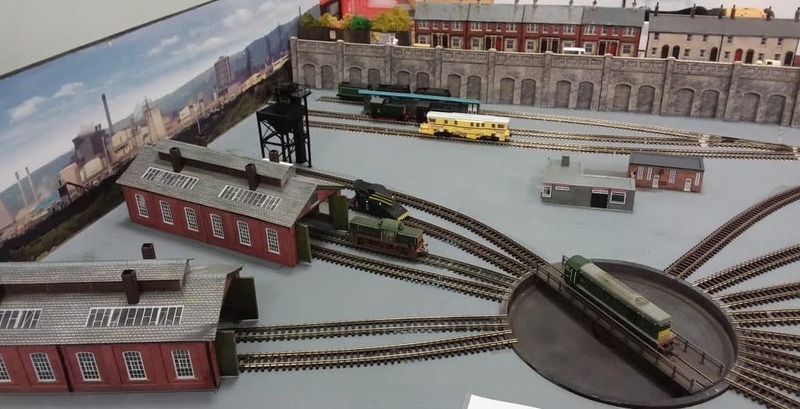 During operation, you will see steam and diesel locomotives, from around the 60’s era. 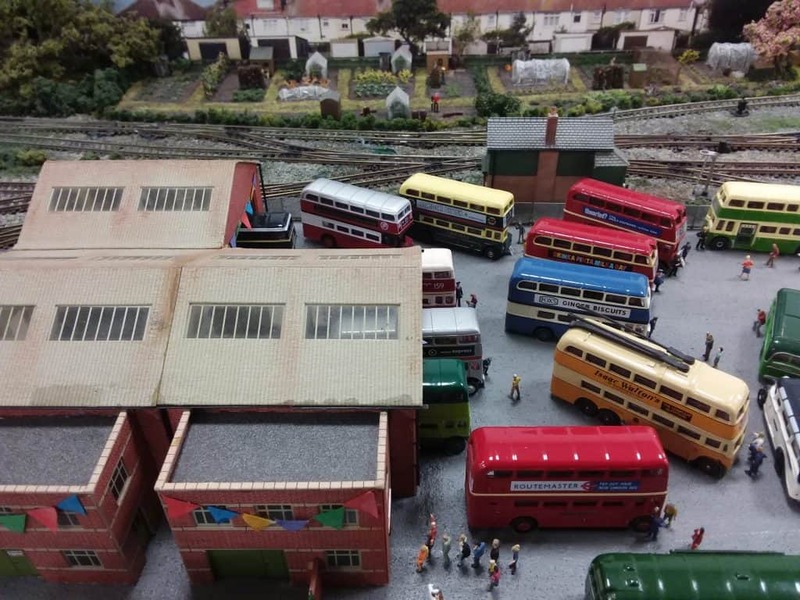 Special trains running will include the Blue Pullman, a special locomotive hauled Pullman, and a Brighton Belle, with some other specials to look for. 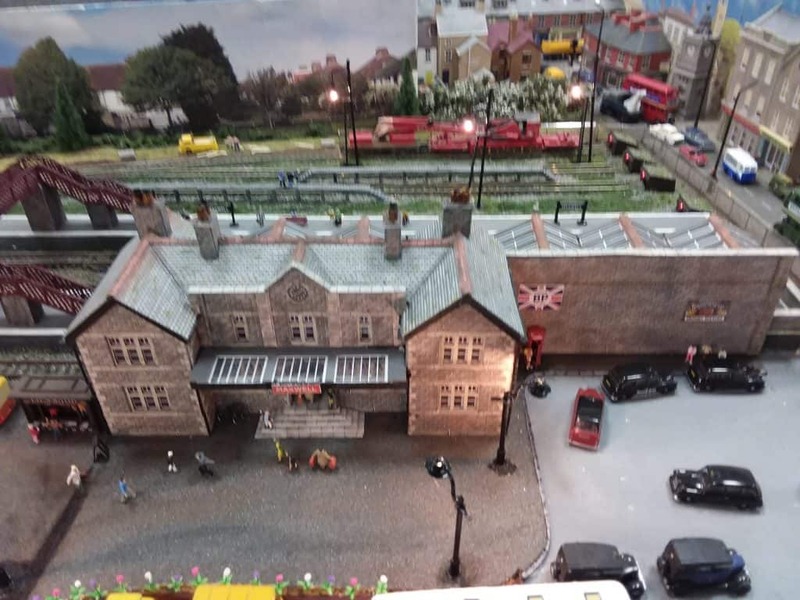 There are a lot of inviting cameos to look out for, with many scenery details. 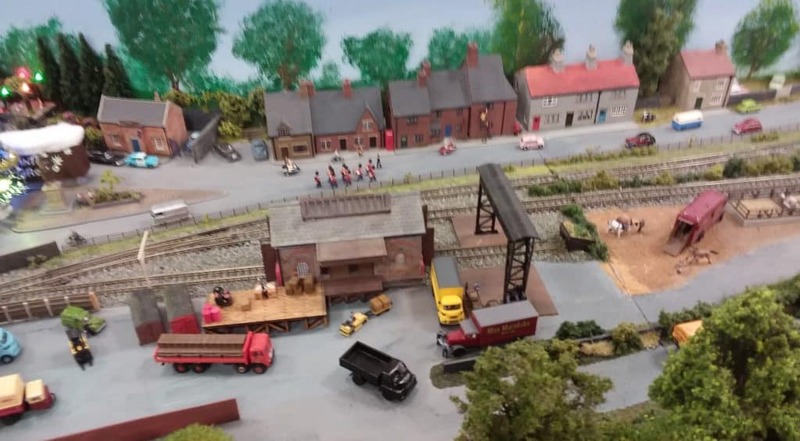 Special details to look for are at the village end of the railway, where a specialist vehicles company hires out old war vehicles and other exciting automobiles, for film and TV. 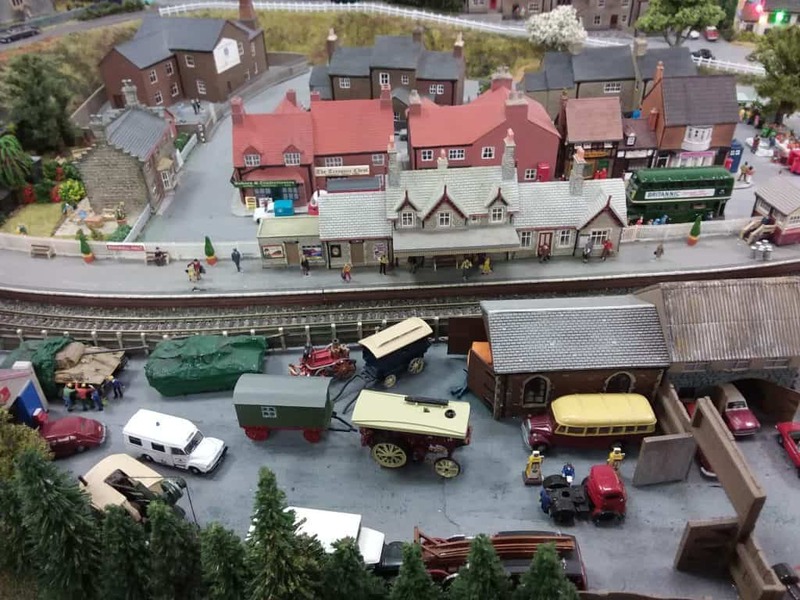 You will also see wagons loaded with aircraft, a travelling crane, and some special locomotives. 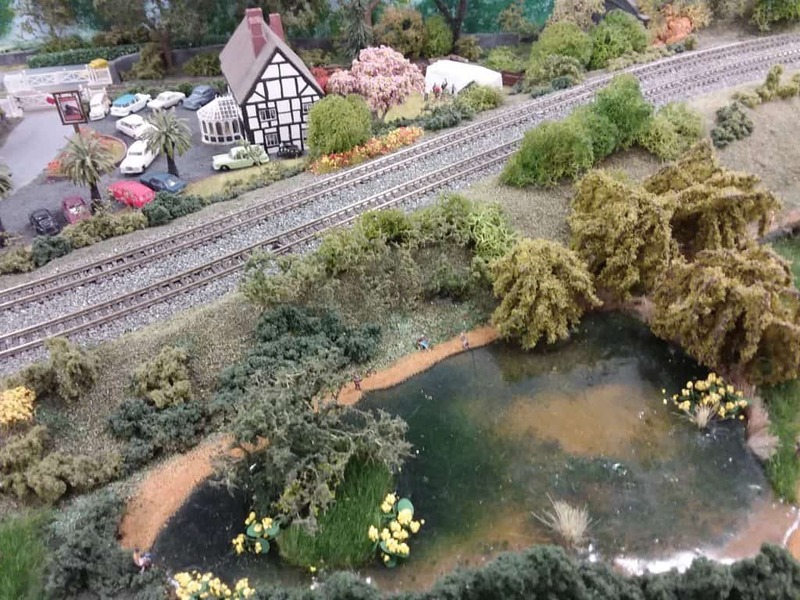 On the scenery side, there are many things to look out for, and if you talk to us during your visit we can show you where they are. 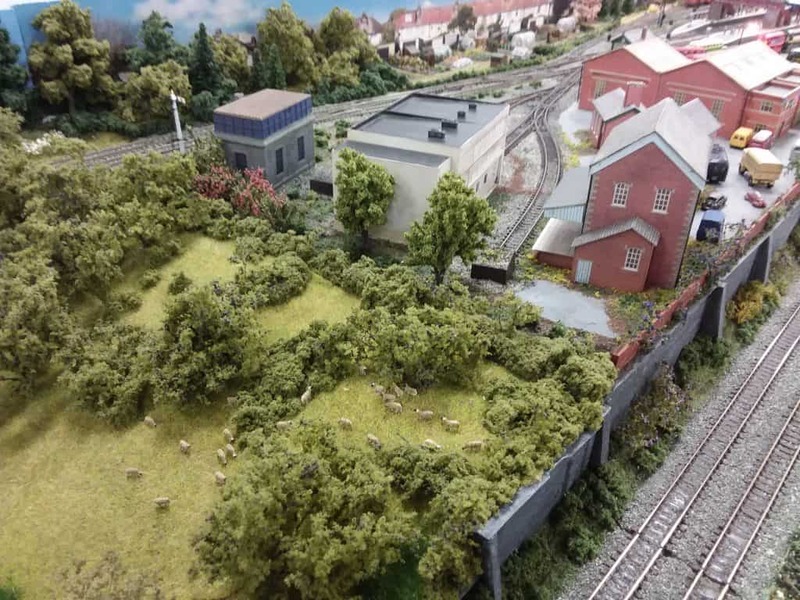 Being members of the N Gauge Society, we will be more than happy to answer any of your questions and help you with anything you’d like to know. Thank you for visiting Maxwell, and we hope you enjoy your stay.